We offer both full and half day floats, along with specialty trips for smallmouth bass. 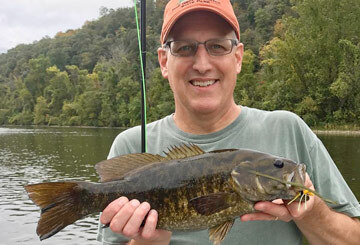 Our home waters offer some of the best smallmouth fishing in the East on the Susquehanna and the Juniata Rivers. On our full day floats we supply lunches, drinks, flies, leaders, tippet, and if needed, rods and reels. Full day floats are normally 8-10 hours and will cover over 5 miles of river. Half day floats are between 4-6 hours and include everything except lunch. Floating the rivers of PA is a great way to relax and take in scenery that is often overlooked. ​Cost: $350.00 Half Day or $500.00 Full Day for one or two anglers. This is an evening 3-hour float trip for one or two anglers. Rods, gear, and flies included. 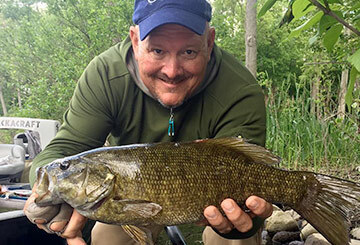 Two Rivers Two Days (Smallmouth Slam). 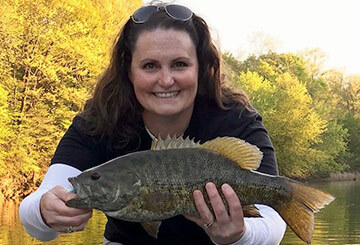 Is a two-day guided trip, fishing two of the best smallmouth rivers in the east. You will fish a different river each day of the journey. The rivers you will be fishing are the Susquehanna and lower Juniata Rivers. What makes this trip unique is that each river has its own personality from fishing a very large river to a smaller more intimate river both which have wild smallmouth bass. Lunch, drinks, flies, leaders, tippet, and if needed, rods and reels are supplied for each day. Cost: $900.00 for one or two anglers.